Demand for cybersecurity has increased with the number of advancements taking place across the technological scenario, especially in a technologically in trenched nation like India. To meet this demand, Computing Technology Industry Association (CompTIA) partnered with Lovely Professional University (LPU). The aim of this partnership is to support and work with Lovely Professional University to train and certify students on CompTIA certification programs, especially in cyber security. As an authorized academy partner, now LPU students can opt for CompTIA Security+, CompTIA Pentest+ and will provide certification for ‘Cyber-Security Analyst (CySA+) programme which will help them to achieve their goals and dreams in the segment of cyber security. Barco, a visualization and collaboration technology company, claims to have been certified as a ‘Great Place to Work’ by Great Place to Work Institute. The selection was made against the parameters of fairness, respect, credibility, pride and camaraderie at the workplace as part of Great Place to Work®‘s Best People Practices and Trust Index, which is largely determined by confidential team member surveys. Great Place to Work® Certification is one of the most respected achievements for any organization across the globe. Every year, more than 10,000 organizations from over 60 countries partner Great Place to Work® Institute for assessment, benchmarking and planning actions to strengthen their workplace culture. Barco was recognized on numerous parameters to be included in the coveted list of companies that provide an enabling environment of sustenance, growth, engagement and work-life balance to its employees. 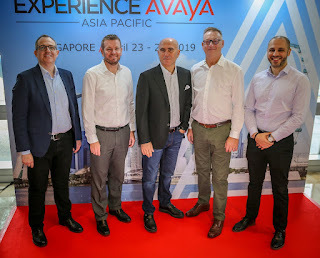 Avaya Holdings Corp is partnering with Standard Chartered to deliver a multi-year client experience transformation project that will enable the Bank to more fully align its services with clients’ fast-paced, digitally connected lives. The Avaya OneCloud Private solution enables organizations such as Standard Chartered to hit the ground running with unified communications and contact center solutions delivered on their own private cloud. Avaya offers standard reference architectures—or customers can team up with Avaya global experts to design a custom solution. The Standard Chartered Avaya implementation is designed to enable the Bank to effectively service its clients, while building a foundation that anticipates contact center channels that have not yet emerged. HUAWEI CLOUD and Infosys signed a memorandum on strategic cooperation to help enterprise customers transition quickly to the digital cloud. As part of the agreement, Infosys will join the HUAWEI CLOUD Partner Network (HCPN) and the two companies will develop new cloud solutions leveraging HUAWEI CLOUD and Infosys products and services to help customers securely adopt innovative cloud-based systems for their enterprise workloads. The HCPN is a global partner program designed to help HCPN partners build success on HUAWEI CLOUD by providing valuable services, and technical, marketing and management support. The HCPN also enables HUAWEI CLOUD customers to identify high-quality HCPN partners who deliver value-added services and solutions on HUAWEI CLOUD. CleanMax Solar, India’s largest provider of renewable energy for corporates has raised INR 275 crore in equity funding from UK Climate Investments LLP (UKCI). This is the third marquee institutional investor to support the company’s growth ambitions, having secured equity financing up to INR 700 Crore from affiliate of Warburg Pincus and the International Finance Corporation in 2017. CleanMax is a market leader in both rooftop solar and open access solar for the commercial and industrial (C&I) segment, with a cumulative India market share of 17% in rooftop and 9% in open access solar, respectively, as of March 2018 (As per BTI 2018 report). Funny title! Isn't it? IT world is always chasing new phrases and new tech jargons, fancy new ideas and new ways to apply new tech concepts. Every technology innovation is better than a previous one, and helps in solving current business problem effectively. Every new cool thing/innovation attracts both - the presenters and recipient. Both of them spend time and resources to understand the entire process before getting into business value, TCO analysis, and transformation journeys etc. To make learning effective, immersive, and enjoyable Impactall is launching the Impactall Classroom App for Schools. Impactall provides educational 3D and VR app solutions. The app will help students overcome common obstacles faced while learning. Through 3D models, cross-sectional and longitudinal study will be enabled leading to a deeper understanding of subjects. The ease with which knowledge is imparted using the app encourages users to explore unfamiliar and challenging concepts and elicits curiosity. OPPO, a smartphone brand launched its latest budget friendly smartphone in India, OPPO A5s. Built with a stylish design and a long-lasting battery life, the OPPO A5s features the year’s most popular waterdrop screen, dual rear camera and runs on a MediaTek Helio P35 chipset. With a robust 4230mAh battery, OPPO A5s leverages AI algorithm optimization to reduce power consumption, delivering exceptional long-lasting battery life. Priced at INR 9990, OPPO A5s comes in two variants: 2GB RAM + 32GB ROM. 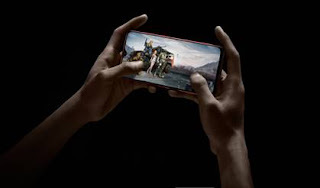 The 2GB RAM + 32GB ROM version is available in black and red color that went on sale from 20th April 2019. Meanwhile, the 4GB RAM + 64GB ROM will be available in green and gold color in May 2019. The OPPO A5s will be available on Amazon Flipkart, Snapdeal, Tata CLiQ, PayTM Mall and all offline stores. 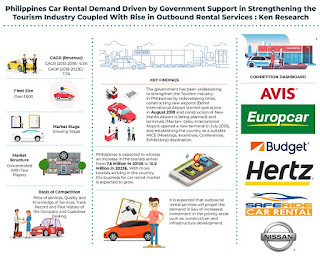 The report titled “Philippines Car Rental, Car Leasing, Cab Aggregator and Yellow Taxi Market Outlook to 2023 – Driven by Planned Fleet Addition and Growth in Tourism and Construction Sector” provides a comprehensive analysis on the car rental market of the Philippines. The report covers various aspects including Business Models, Company Profiles, Competition Scenario, Cross Comparisons, Segmentation, Regulatory Environment, Growth Drivers, Issues and Challenges of Car Rental, Car Leasing and Cab Aggregator along with a Snapshot on Yellow Taxi. The report concludes with market projections and analyst recommendations, highlighting the major opportunities and cautions. TalentSprint announced its Women Engineers Program (WE), supported by Google, to nurture 600 women software engineers from India over the coming three years. As a part of this initiative, young and talented college students from varied socioeconomic backgrounds will be identified via a detailed selection process and groomed through a rigorous multi-step training program, supported by 100% scholarships and annual stipends of Rs. 1 lakh each. TalentSprint WE, supported by Google, is aimed at addressing the gender imbalance in technology by grooming promising talent among women engineering students to advance and contribute to the field. Prioritising inclusion, the program is designed to support talented women engineers from under-privileged and disadvantaged backgrounds. 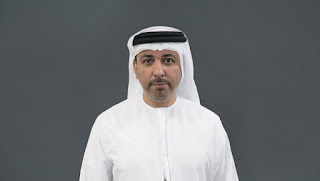 Pure Storage has announced that MDC Business Management Services (MDC BMS)―a shared services company that provides support for IT, finance, procurement, facility management and HR for th+e larger Mubadala Group—has recently selected Pure Storage’s modern technology to cover production, non-production, disaster recovery and remote-site operations. With Pure Storage serving as the foundation of its data center infrastructure, MDC BMS can focus IT resources on business-oriented tasks―rather than storage management—and has improved performance of business-critical applications, giving their clients real-time access to the data they need to make investment decisions that will ultimately shape the future of the business. Kan Ltd approached Vissensa when their trusted onsite physical server, hosted in their Hampshire office, reached the limits of its ability to reliably support the demands of the business. The challenge was to migrate an important legacy application from the older technology to a modern operating environment without disrupting the company’s external website ordering systems that was linked to the application. As part of the migration, Kan wanted to improve their business continuity by ensuring that the critical business information contained on these systems was backed up and could be recovered quickly when necessary. Vissensa initially reviewed the platform and advised that the one server Kan operated was a single point of failure and should be migrated to a virtual platform where resilience can be guaranteed. Artificial Intelligence (AI) is all about machines, obviously. Except it’s not. In truth, discussions surrounding AI may often centre around how competent, intuitive and contextually aware the machine brains we are building have become. But really, AI is all about us―the humans—and how it can make our lives better. Royal Philips, a health technology company, has elevated Gulbahar Taurani, a veteran in the consumer durables industry, to succeed A.D.A Ratnam as President, Philips Personal Health in India. Gulbahar, 44, brings a wealth of experience in electronics, domestic appliances and telecom. In his 15 years with Philips, Gulbahar has successfully led large teams across functions and businesses. 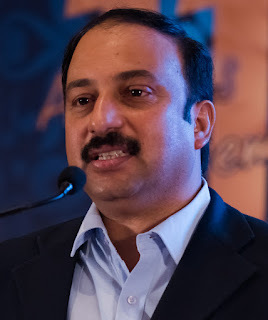 In his most recent role as Marketing Director, Personal Health India, he was instrumental in driving deeper consumer connect, increasing brand awareness , innovation and operational excellence for all businesses in Personal Health. 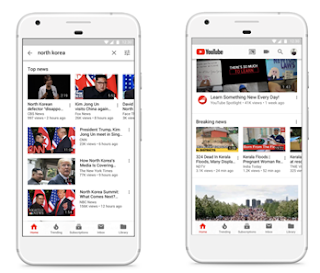 In the last few years, news has become an integral part of YouTube’s experience for millions of Indians online. With improved connectivity and low cost of data, watch-time of India’s authoritative news sources has more than tripled over the past two years. We have been hard at work to ensure that we are responsibly growing news and supporting news publishers on YouTube. Towards this goal, we have taken a number of important steps and introduced three principles to guide the news experience on YouTube. Paytm Money announced the launch of its a web & mobile web version of its investment platform to assist users with the discovery & research of mutual funds while simplifying investments. Paytm Money serves over 1 Million Users every month on its web platform and this new service is aimed towards catering to the needs of investment research and discovery of Mutual Funds users. Users shall continue to invest via the Android & iOS apps of Paytm Money for now and the company aims to introduce the ability to invest through web platform soon. Broadband India Forum (BIF), an independent policy forum and think-tank, in association with Indian Council for Research on International Economic Relations (ICRIER) an autonomous, policy-oriented, not-for-profit, economic policy think tank today released a report on spectrum pricing and auction methodology that evaluates TRAI’s recommendations for the upcoming auctions and presents alternatives using cross-country experiences. The report titled ‘Evaluating Spectrum Auctions in India’, while admitting that regulatory judgement on auction design is an unenviable task, recommends a relook at auction design including spectrum pricing methodologies that primarily rely on reserve prices for successful outcomes. Canon India announced the launch of four new XA series professional-use camcorders capable of capturing video in 4K 25/30p . The XA50/ XA55 is equipped with 1.0 type CMOS sensor for high image quality; and the XA40/ XA45, a compact, lightweight model is equipped with a 1/2.3 type CMOS sensor. These newly announced models are the organization’s first XA series models, which are capable of capturing 4K video. Acer unveiled two new Predator Helios gaming notebooks today at the next@acer global press conference in New York. Both Windows 10 notebooks offer new technologies and innovative designs to keep gamers ahead of the competition. The all-new Predator Helios 700 includes a unique HyperDrift keyboard that slides forward, allowing increased airflow directly through the top of the notebook, enabling gamers to push the powerful components to their highest potential. 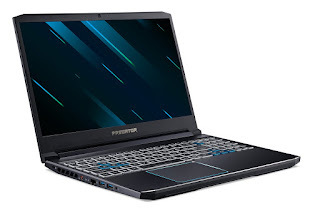 The redesigned Predator Helios 300 includes a sleek modern look and is powered by either up to an NVIDIA® GeForce RTX™ 2070 with Max-Q Design, or the latest GeForce GTX GPUs, yet still retains its budget-friendly price tag. It’s well-suited for task-heavy computing, as its high-end hardware provides the performance needed for gaming, streaming, and video and photo editing. TikTok,a short video platform, as part of its commitment towards providing a positive in-app environment for its users in India, revealed that it has removed over six million videos that have violated its Community Guidelines. This is part of TikTok’s ongoing efforts to make its millions of users feel safe and comfortable within the community by empowering them with the right tools and resources. TikTok has also introduced its age-gate feature for its new users, which will only allow users age 13 years and above to login and create an account on TikTok, further adding to the safety mechanisms in place to ensure that underage users do not use the platform. 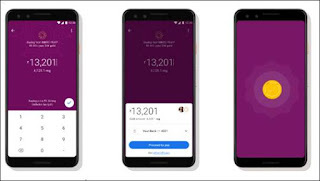 To make Google Pay more useful for Indian customers, Google has partnered with MMTC-PAMP India to introduce the buying and selling of gold through the app. Through this partnership with India’s only LBMA accredited gold refinery, Google Pay users will be able to buy 99.99% 24 karat gold. Avaya Holdings Corp is furthering its integration with Google Cloud to fully leverage the AI and cloud capabilities of both companies, providing Avaya clients with new capabilities to enhance their customer experience and achieve desired business outcomes. Avaya is embedding Google Cloud’s machine learning technology within Avaya conversation services powering the contact center, enabling easy integration of digital AI capabilities for a consistent and intelligent customer experience. With the help of Google Cloud, Avaya provides increased flexibility, efficiency and scalability in deploying powerful and simple communication and collaboration solutions that improve the customer journey and increase workforce engagement with more personalized, intelligent and insightful interactions.